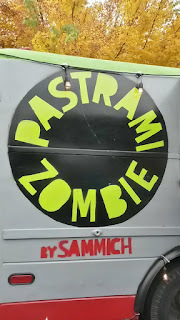 Pastrami Zombie is located at the Mississippi Marketplace food pod in Portland, Oregon. Melissa McMillan has run Sammich, a successful sandwich shop in Ashland, for years. 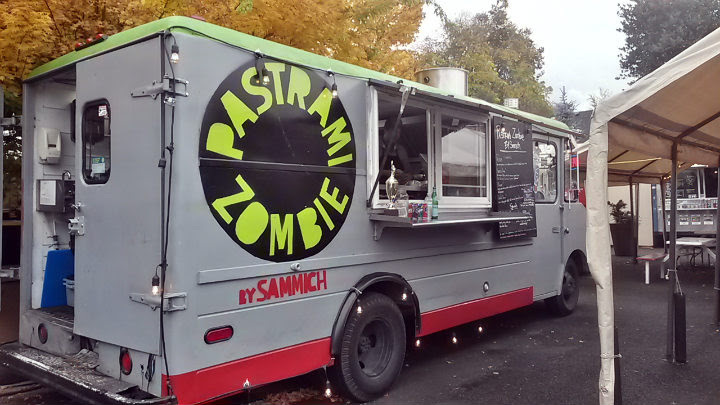 In June 2016, McMillan first rolled her Pastrami Zombie food truck into Portland. 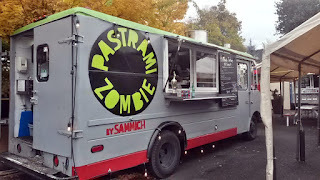 It nestled at 5429 NE 42nd Avenue for several months before moving to Mississippi Marketplace this past August 16. 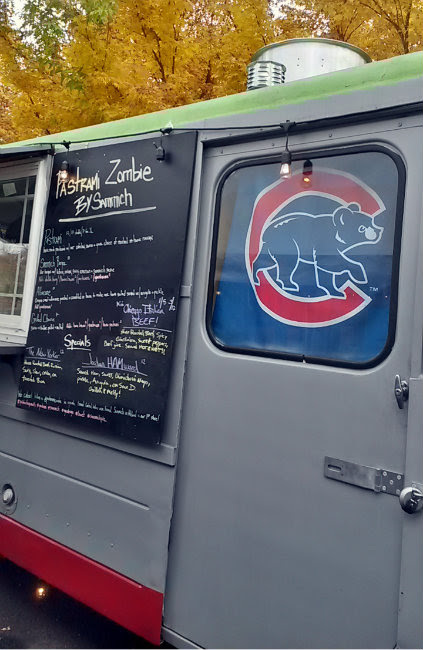 This past August, news broke that McMillan would open a brick-and-mortar spot on SE Division. In mid-October, Sammich announced a second brick-and-mortar to open on Burnside by December 1. 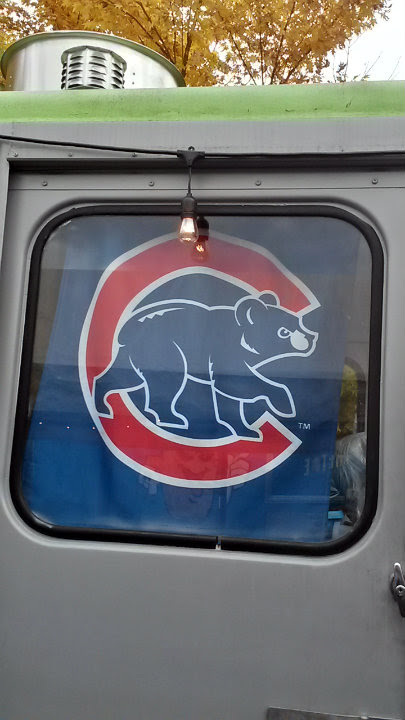 The SE Division spot has faced delays, but was still slated to open at some point (citing the October article). 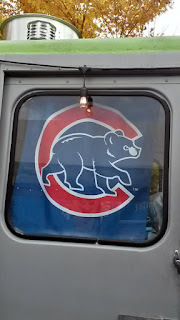 It's clear McMillan is a Chicago Cubs fan. 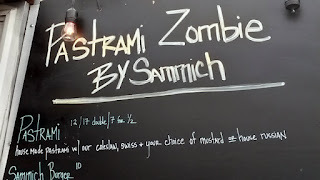 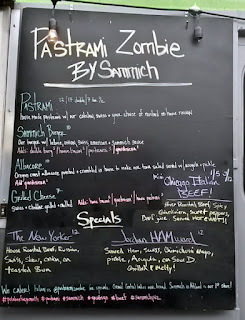 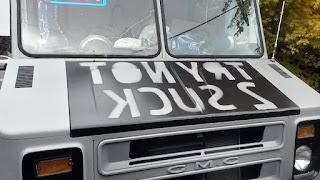 The Pastrami Zombie truck is a pared-down menu of the Sammich restaurant. 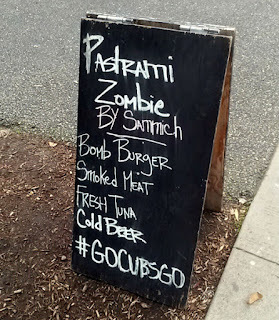 Of course, the pastrami is the signature item, but also consider their burger, albacore, and other listed specials. 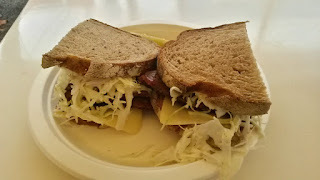 The Pastrami Sandwich ($12) starts with their signature pastrami, with cole slaw and Swiss on rye. 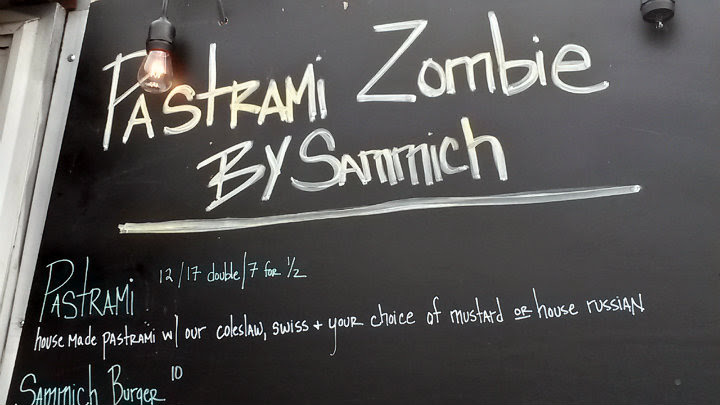 Choice of house Russian dressing or mustard. 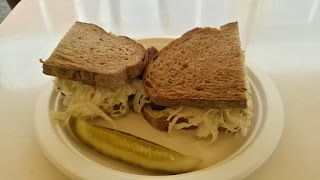 I got the Russian dressing this time. 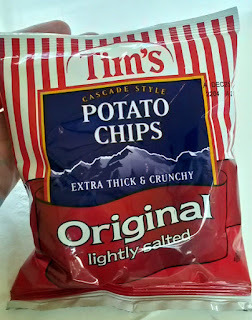 It comes with a side of Tim's kettle chips. 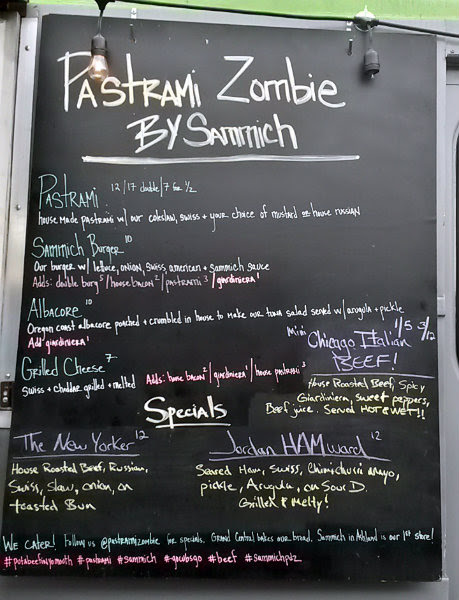 As expected, killer good pastrami. Juicy, extremely tender, and flavorful. Crunchy cole slaw and delicious Russian dressing. 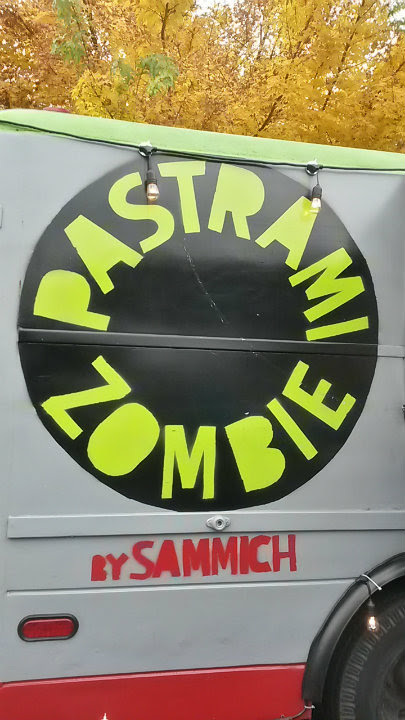 I personally would have liked a slight toasting of the rye bread, especially to help slightly melt the cheese, but otherwise, awesome sandwich. I'll definitely have to visit the Portland brick-and-mortar spots once they open. It's definitely a lot closer than driving to Ashland.